Dark. Grim. Sadness. This is a book for young people won the Carnegie prize, with much controversy. Apparently, children can’t read dark books. Except The Scarlet Letter, Lord of the Flies, or Brave New World. This book is good. 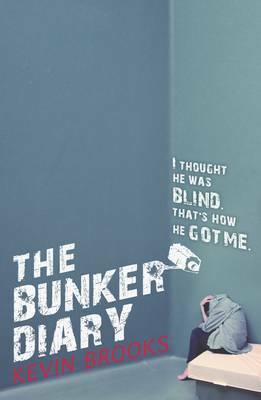 It’s astoundingly bleak, but it’s a fascinating portrait of the lives of six people who, one by one, are abducted and put into an underground bunker. The story is told by the point of view of an articulate, intelligent young man and you watch, day by day, as people’s humanity slowly fracture under the all-seeing gaze of a nameless, faceless enemy.